$879.00 This may be in stock for quick delivery; please call! Guitars in the LTD 1000 Series are designed to offer the tone, feel, looks and quality that working professional musicians need in an instrument, along with the pricing that typical musicians can still afford. Guitars in the LTD 1000 Series are designed to offer the tone, feel, looks and quality that working professional musicians need in an instrument, along with the pricing that typical musicians can still afford. The M-1000 is a serious player’s guitar that employs a set-thru, extra thin-U shaped 3 pc. maple neck for the ultimate in shredding on its 24-fret ebony fingerboard. 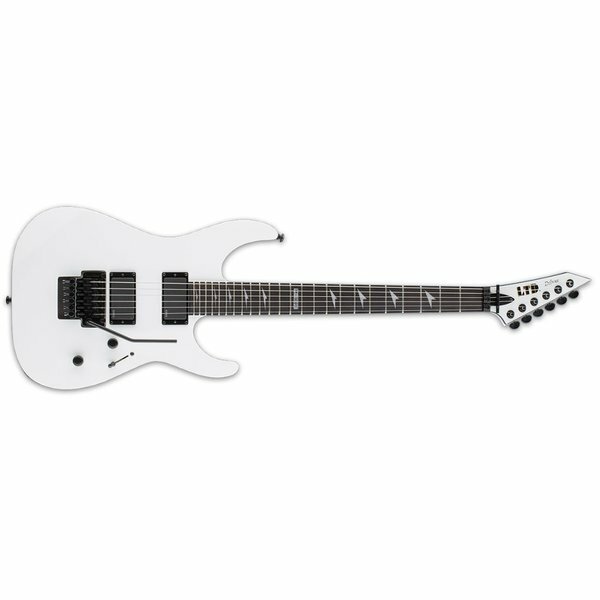 This alder-bodied guitar’s fast feel is complemented by its dual EMG 81 active pickups, with the resulting aggressive tone you need, and a Floyd Rose bridge.